Guy Designs recommends Woocommerce for most E-commerce sites. Woocommerce runs on top of the WordPress Content Management System and more information can be found at www.woothemes.com. Guy Designs has also been using Magento for our customers for many years. We have (and can) designed e-commerce sites in other platforms such as OS-Commerce, ZenCart, Virtuemart, and X-Cart. 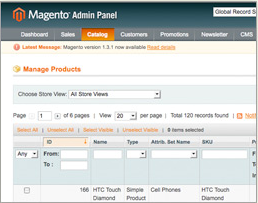 Magento was developed in 2008 by a number of the developers of OSCommerce (another e-commerce platform). It’s had 7 major releases of the community edition (they also produce a professional & enterprise edition – both costing $10K+ each per year, which have had similar number of releases). It’s had more than 4 million downloads and is currently the most popular e-commerce platform in the world. 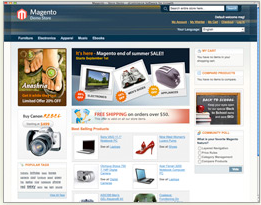 Magento was bought out by Ebay (who already had a major stake in it) in early 2011, which at that point it was made even more user friendly than the original editions. Very easy to update, un-publish without deleting if stock becomes unavailable.